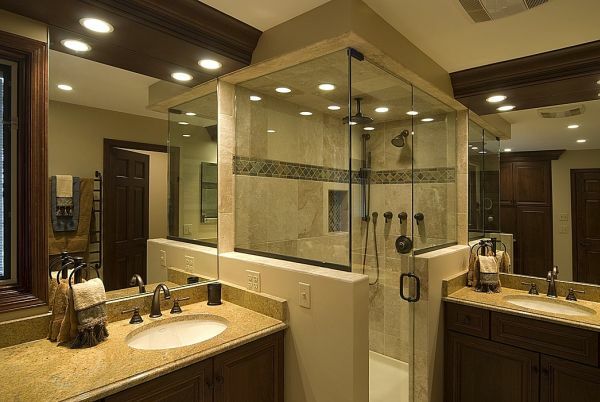 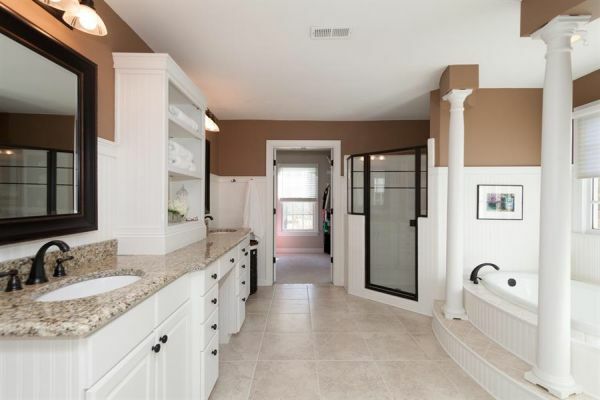 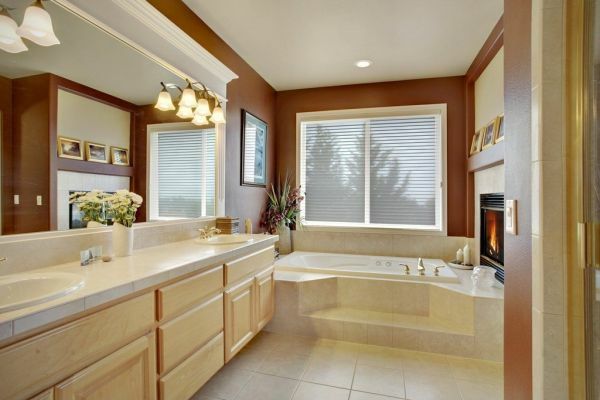 Today we are presenting luxurious master bathroom ideas for our dear readers that are soon going in for remodeling their bathrooms, and are in dire need of awesome master bath ideas that we have chosen carefully. 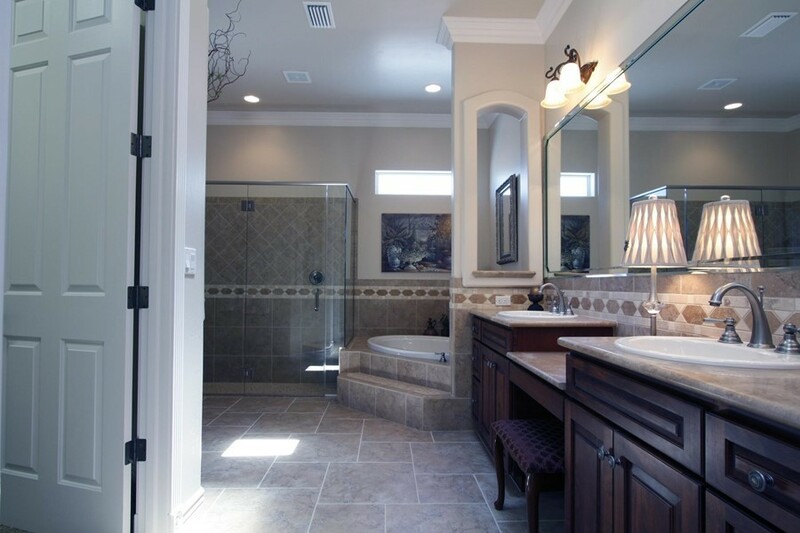 Master bathroom ideas such as those that are showcased today are not merely abodes where you can relax your bodies, but are also spaces that offer you a calming experience that is very much needed in these hectic and stressful times. 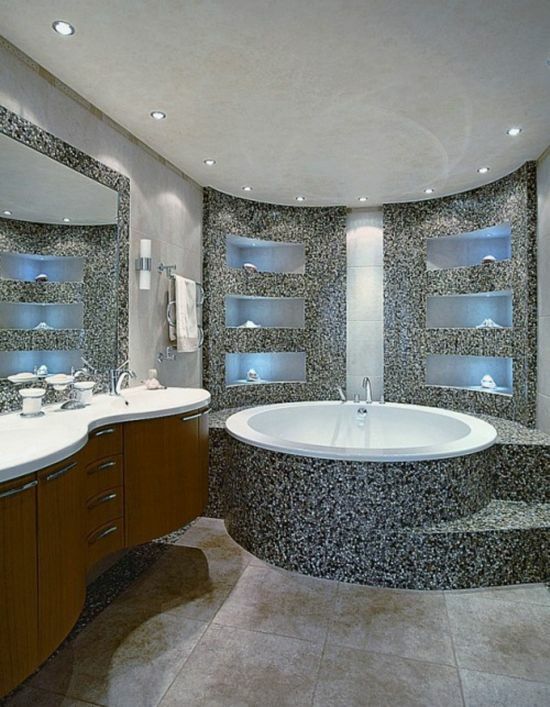 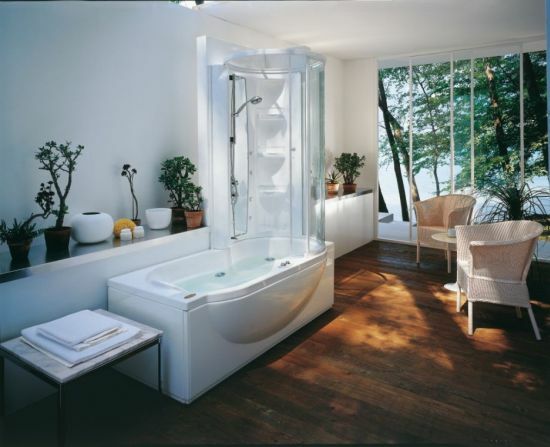 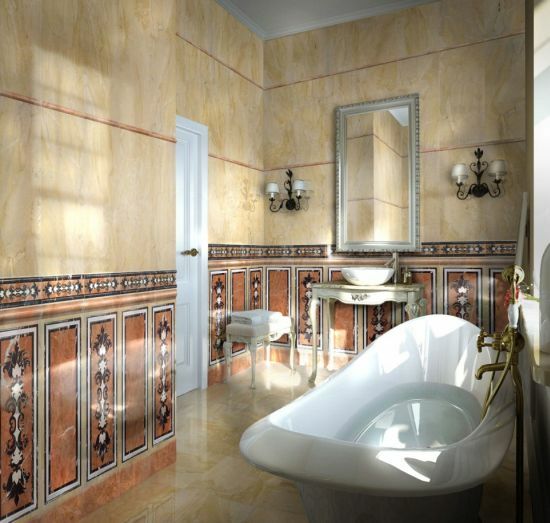 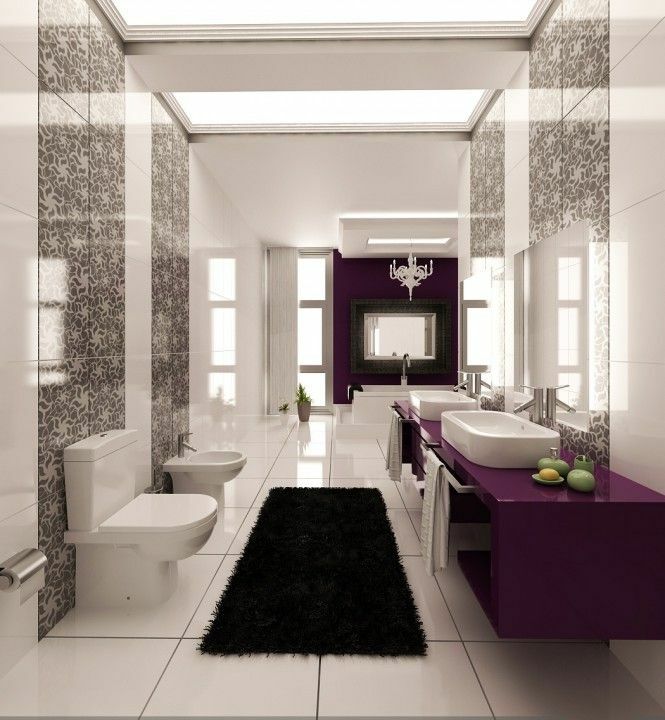 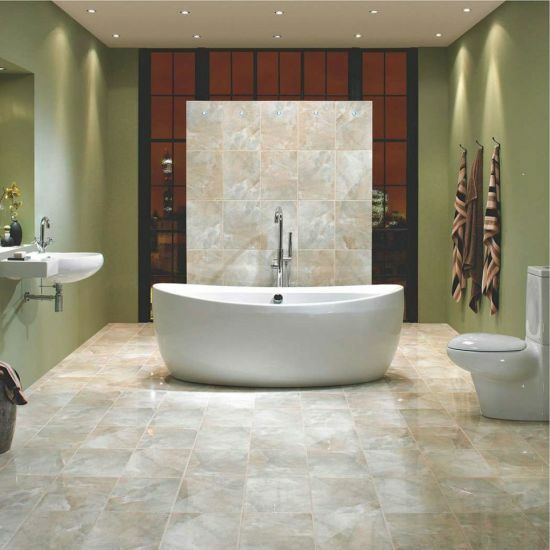 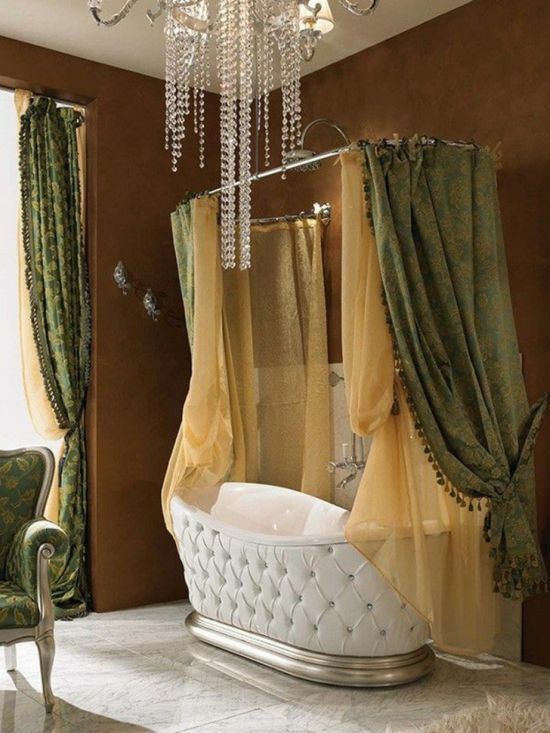 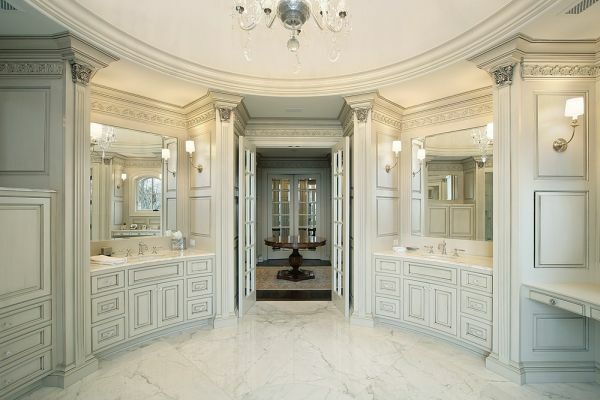 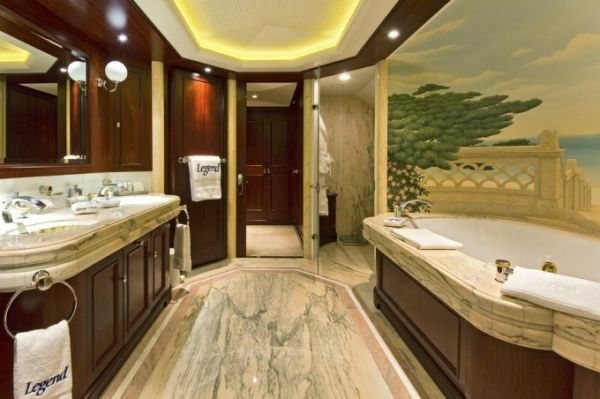 The 50 master bathrooms presented below are specimens of class and elegance. 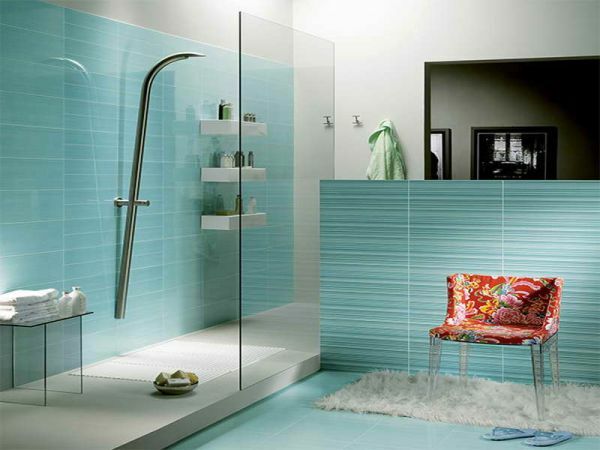 Apart from ensuring that you get to enjoy privacy, these also make you fall in love with the décor. 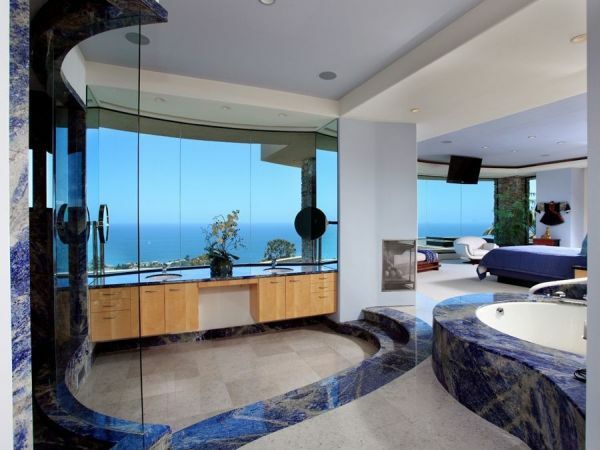 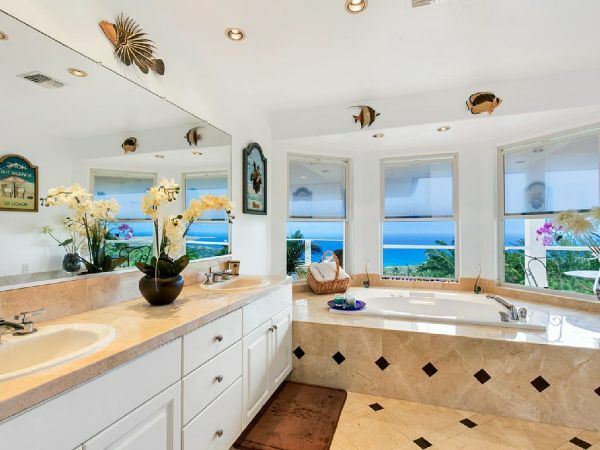 A few of these master bathrooms have made use of contemporary architectural styles that feature trendy furniture, vanities, faucets, bathtubs, and walls. 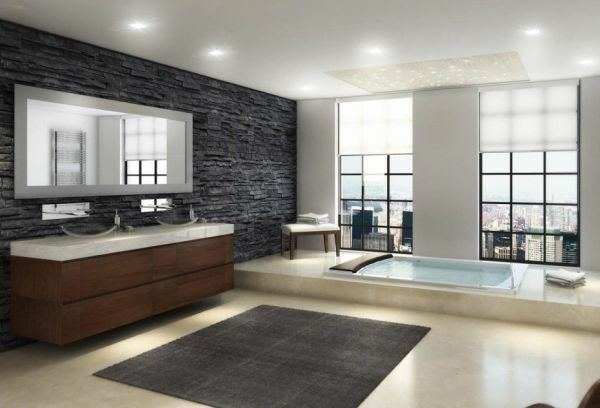 Apart from modern looking master bathrooms, there are quite a few traditionally built luxurious bathrooms that have been designed by world famous designers like Philip Silver and a whole lot of many known designers. There are umpteen number of ways you can stylize your master baths using these listed master bathroom designs, like, for example, if you want to add to the luxurious feel, you can fit art installations inside, may be next to your bathtub, or inside the shower enclosure. 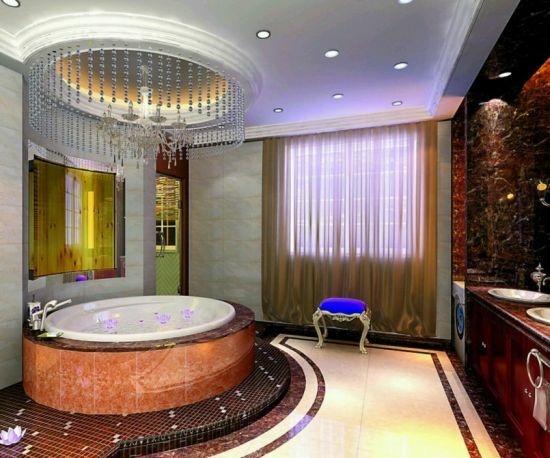 Ceilings needn’t look boring at all when you install LED light fixtures or crystal chandeliers. Adding spot light fixtures too adds to the gorgeousness of your bath areas as these lend a sparkly feel to your bathroom’s décor. 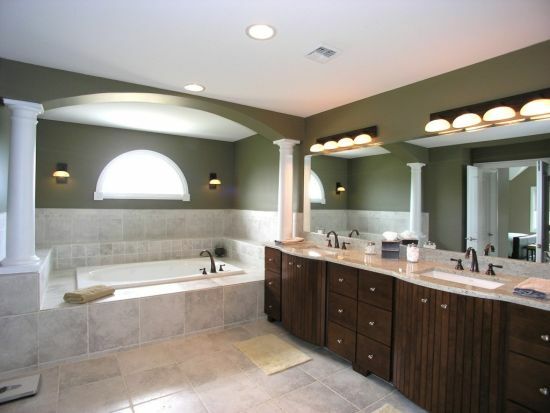 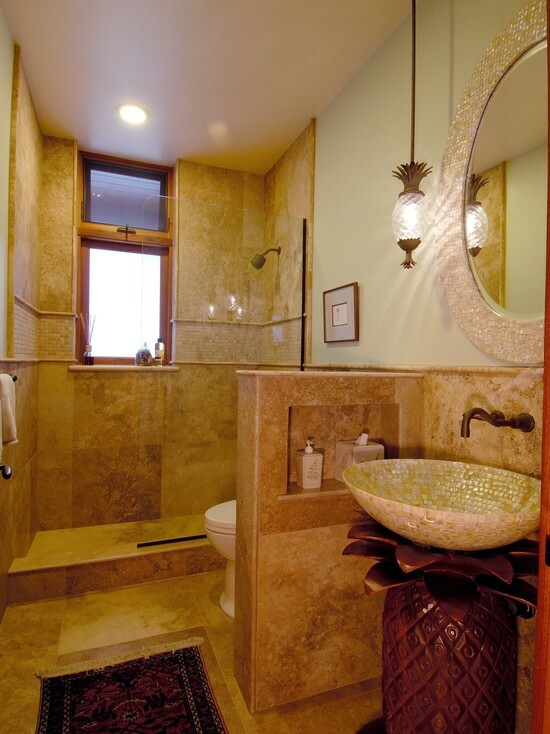 It’s not just lighting that can make a difference as to how your master baths look. 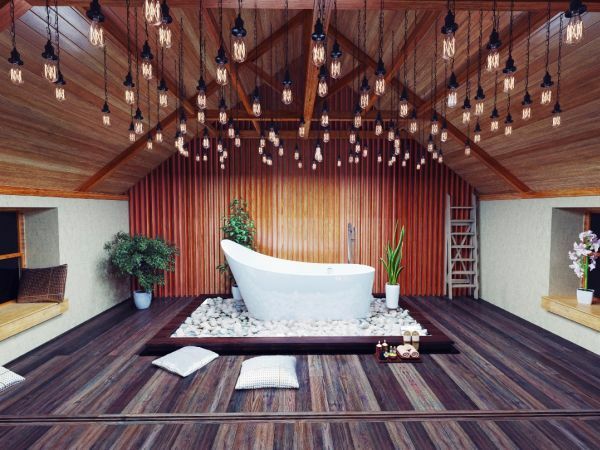 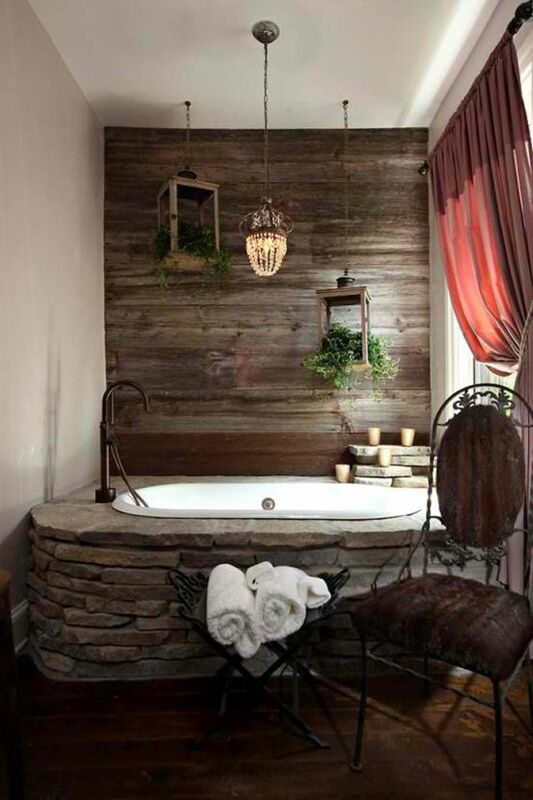 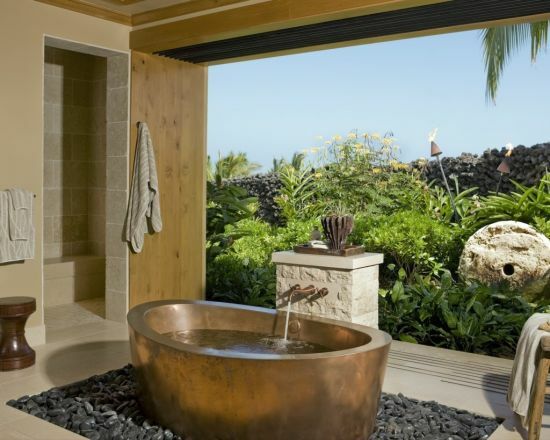 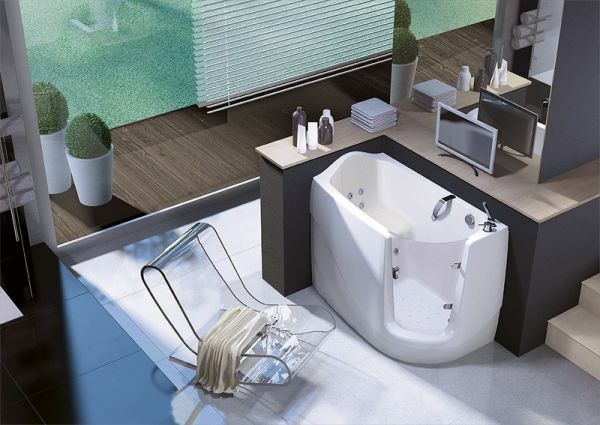 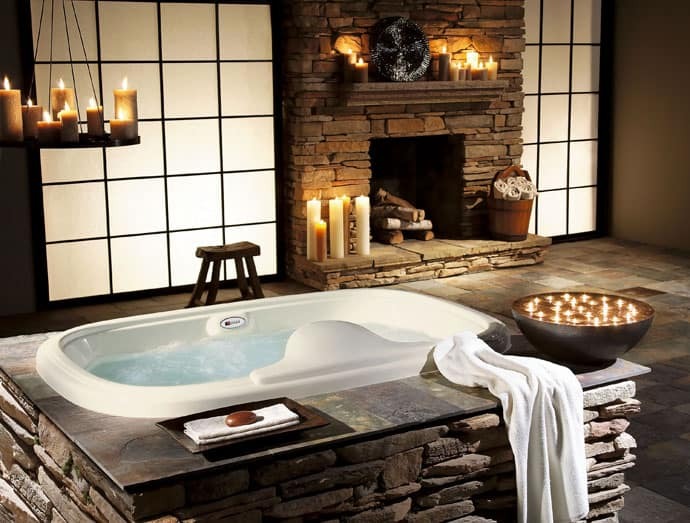 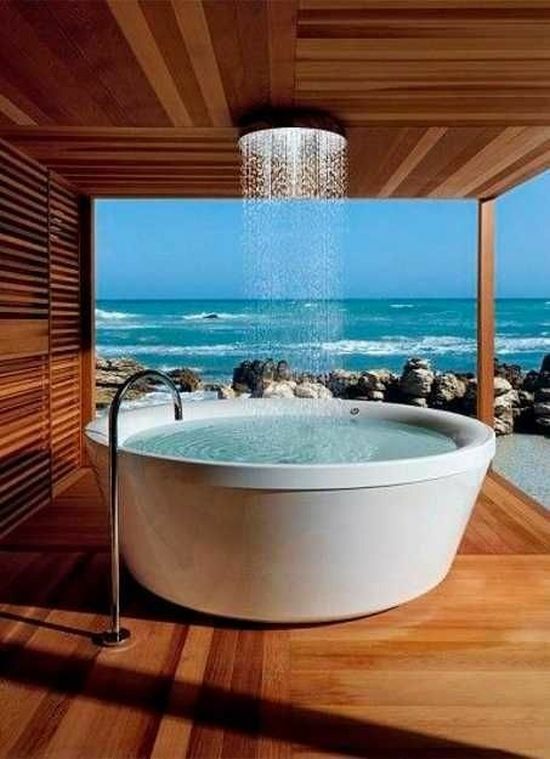 Even the tub that you use for relaxing can elevate your style quotient, like the pictures below where you can spot some very creative bathtub designs like claw feet tubs, walk in tubs, tubs made of copper and enclosed with stones and so on. 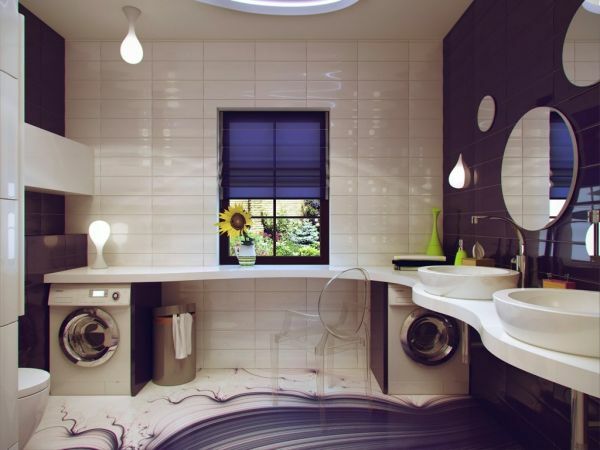 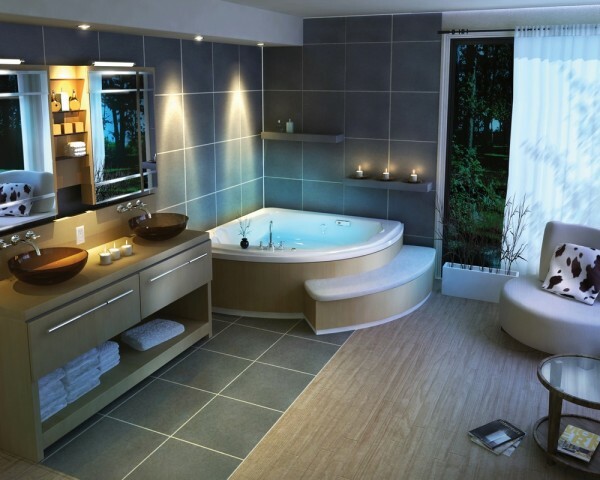 Master bathroom ideas shown below would open up your horizons as to how innovative one can get as far as using bathtubs is concerned. 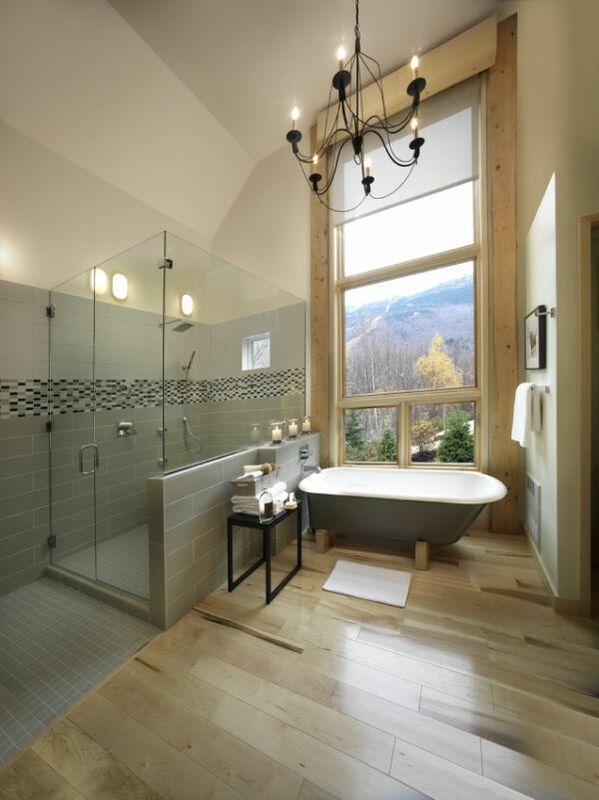 If you look below, you would find a few images of luxurious bathrooms designed with creative master bathroom designs that make use of natural elements inside the bath areas. 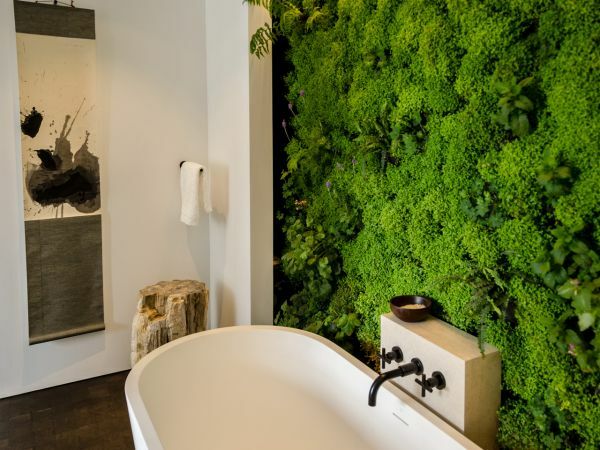 For example, in one of the images of master bathroom ideas, the designer has added life to the bathroom wall by placing plantations and greenery, just next to the bathtub. 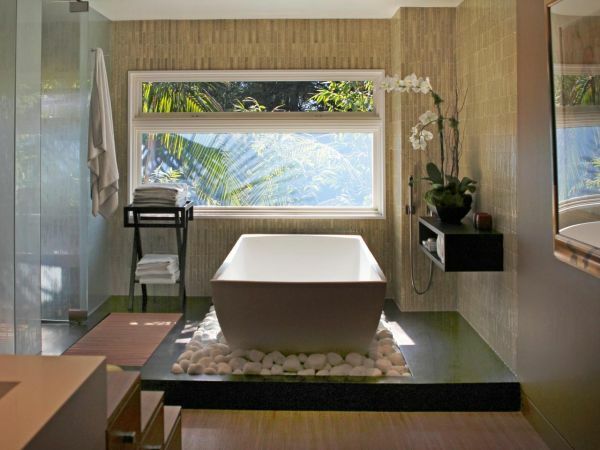 The contrasting effect created by the white and green accents lends a refreshing touch to the décor of the bathing room. 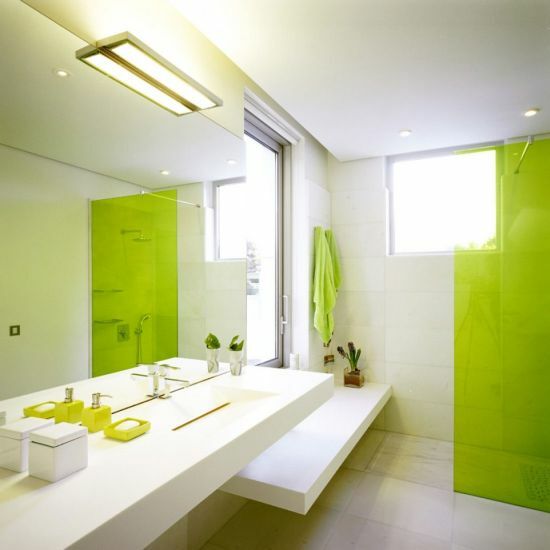 Since going verdant is the new style mantra for most designers these days, most bathrooms would feature massive glass frame less windows that allow lots of sunshine to come inside along with the panoramic view of the green vistas. 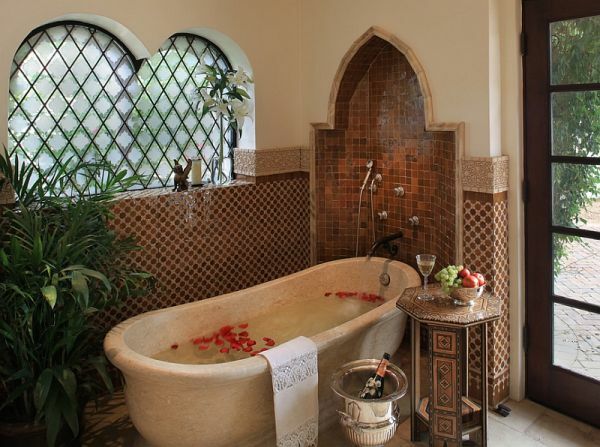 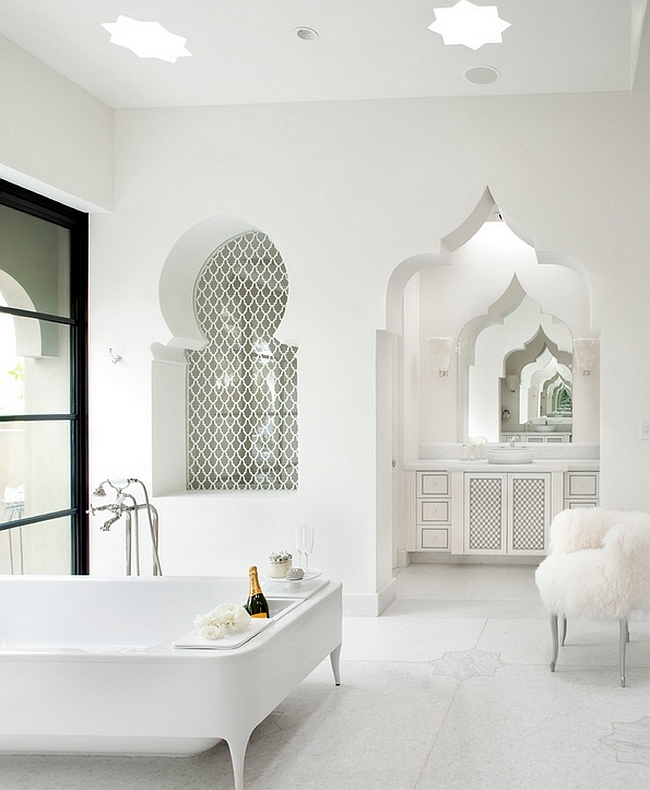 Mediterranean themed master bath ideas have also been shown today that feature architectural styles of Morocco, Spain and many other middle eastern countries. 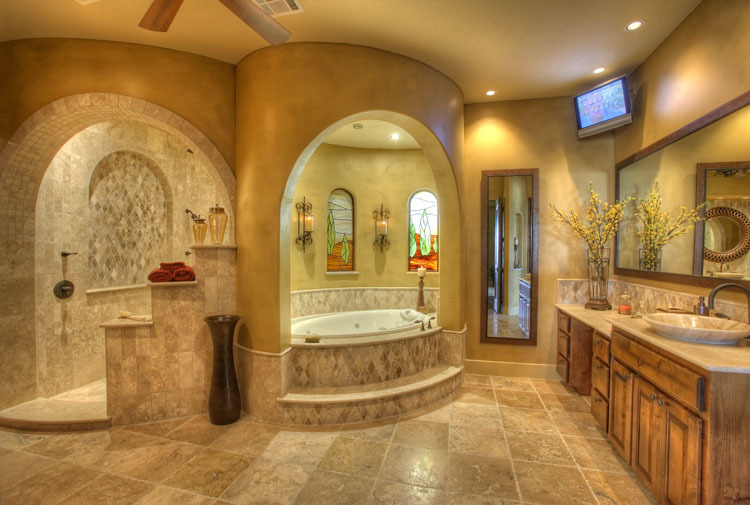 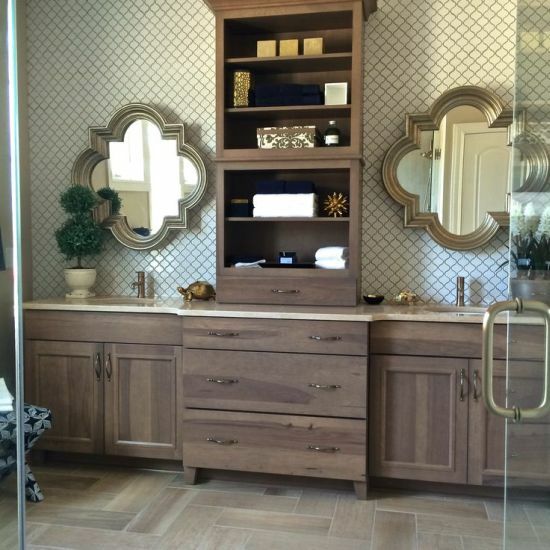 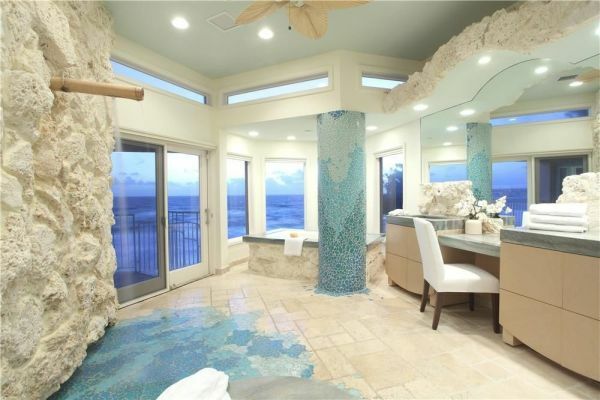 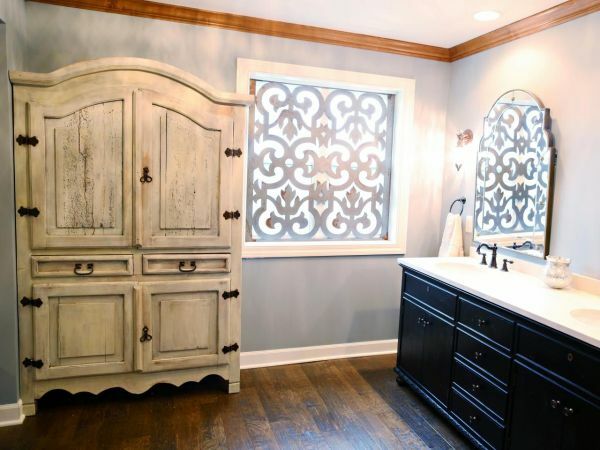 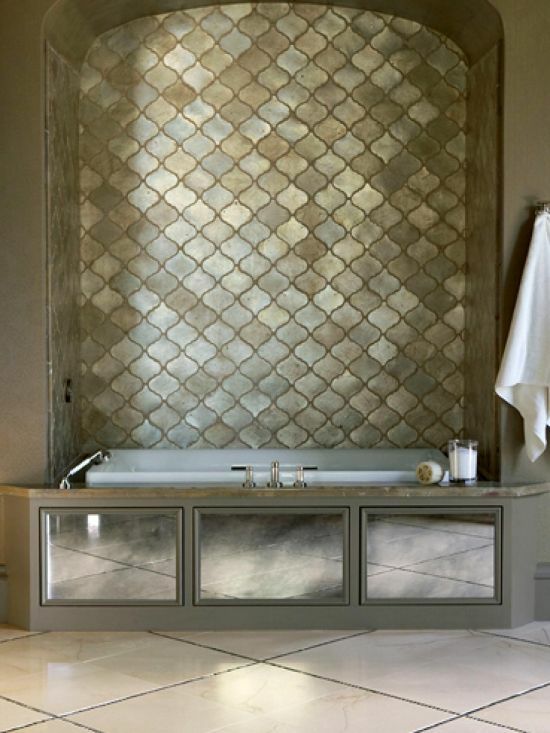 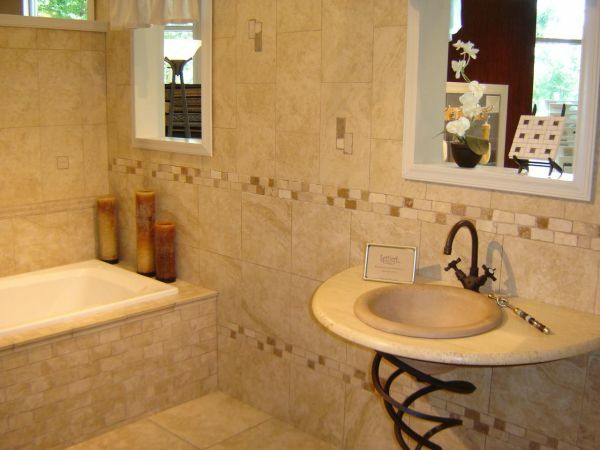 From blue mosaic tiles on walls, to arched canopies over bathtubs, to use of metal and terracotta on walls, there are hundreds of features that can be installed in such master bathrooms. 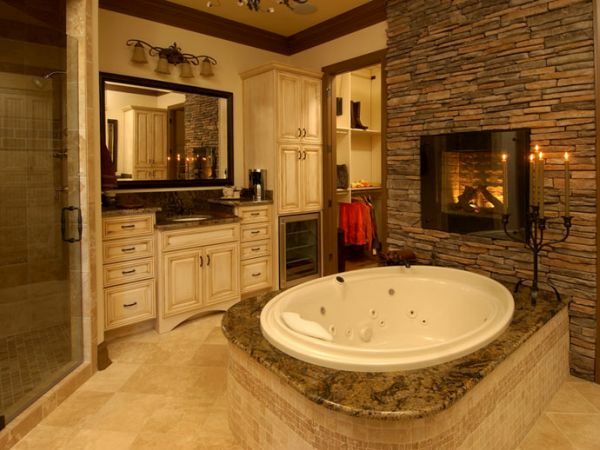 Many interior designers these days are coming up with master bathroom ideas with exotic fireplaces as this is one feature, that, till some while ago wasn’t considered an important part of room décor. 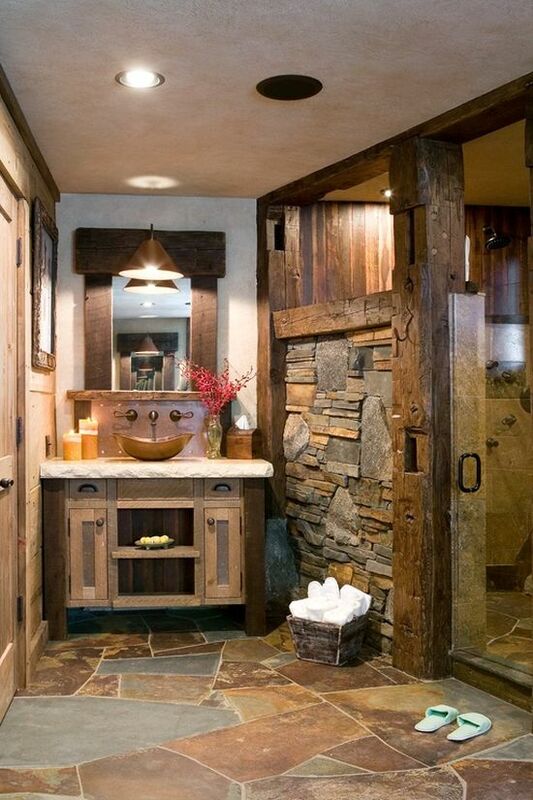 But, now a days, having a fireplace is a must, and these are vital to most luxurious bathrooms. 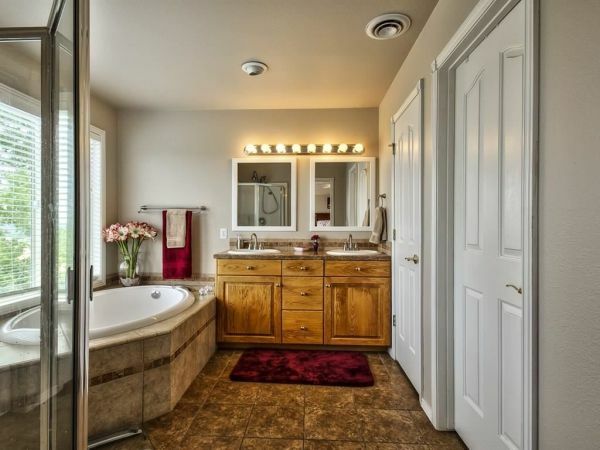 Master bathroom designs of today lay more stress on lending a calming touch to the décor instead of merely putting all the emphasis on walls and flooring. 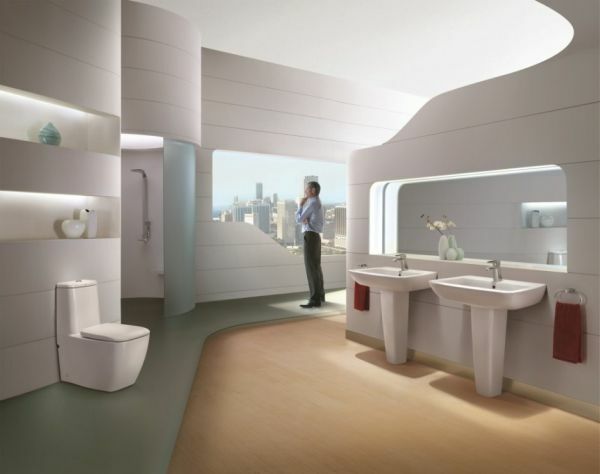 Also, including state of the art amenities is also a trend in most of these designs. 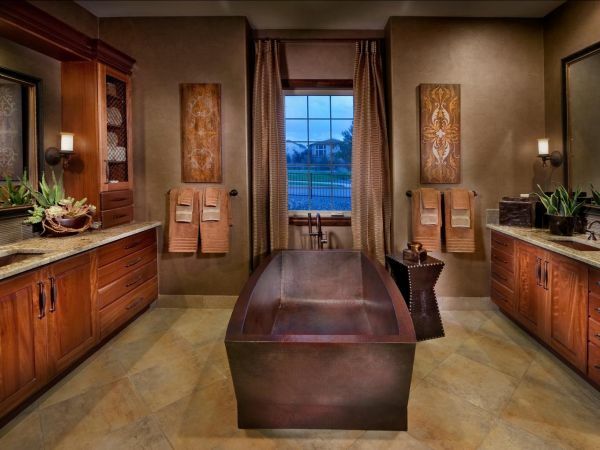 These 50 luxurious master bathroom ideas are creative and you must choose one today if you are planning to remodel your master bath.